One thing that I love about all of the craft blogs on the internet, is that I can save myself a lot of work by following someone else's tutorial. I don't have quite as much energy as I normally do, and often the thought of coming up with an entirely new project is overwhelming and exhausting. Today's project, the pacifier leash, is a combination of a couple of different online tutorials. Dana of Made offers a fantastic tutorial for her pacifier clip. I followed her basic instructions, but wanted to have an elastic loop to attach the pacifier to the leash. 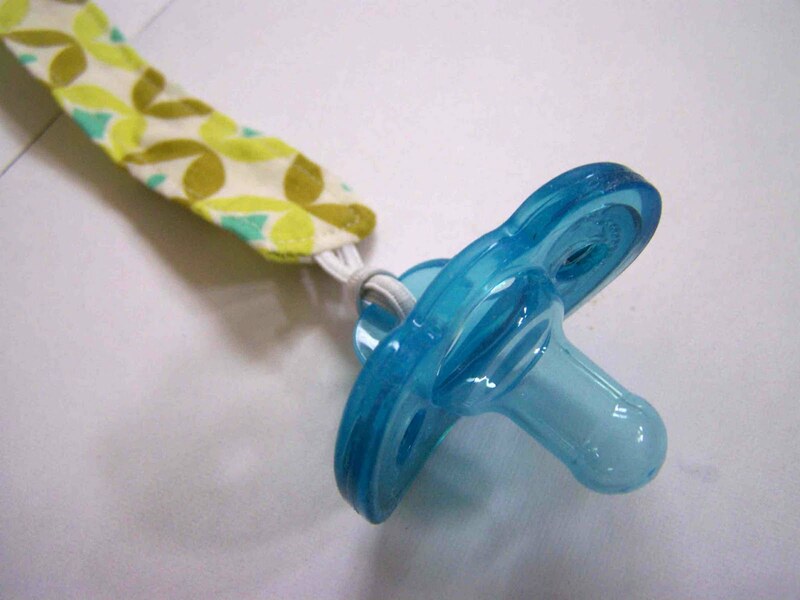 Dana's version offers a velcro tab closure, but it just doesn't work for all pacifiers. Disney of Ruffles-and-Stuff, has her own tutorial that provides basic instruction on attaching an elastic loop fastener. 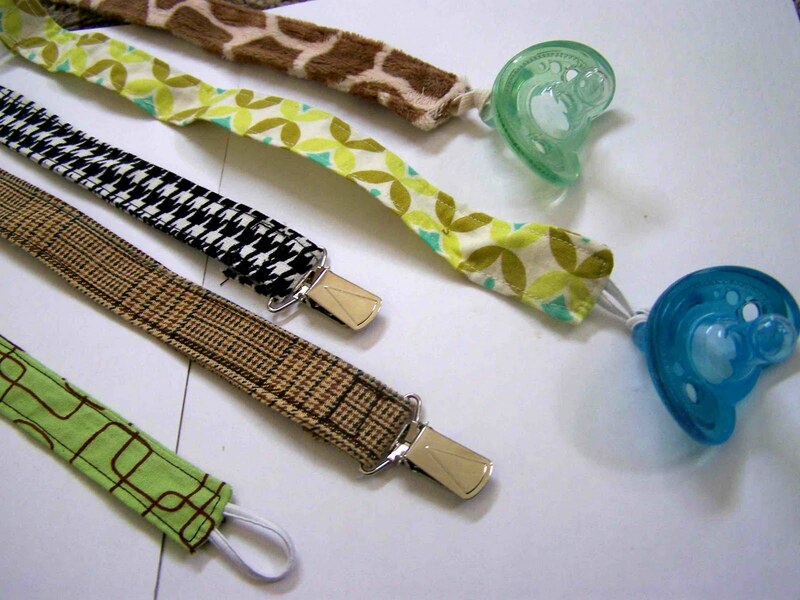 I made several different pacifier clips from a variety of fabrics. I used some quilter's cotton, home decor fabric, and even some left over minky scraps. All of the fabrics worked well, though the home decor weight fabrics were more difficult to turn. It feels nice to have a few more practical baby projects out of the way. I'm desperately trying to finish all of my baby related projects this month. Next month I need to focus my attention on preparing our home, and planning a birthday party for Clark. His birthday is within a week of my due date, and I know that once the baby arrives I won't have the time or the energy to plan/prepare anything. The thoughts of not having a Halloween costume for Clark have also been keeping me up at night (that, and the RLS and leg cramps that plague pregnant ladies everywhere). What a fabulous collection!! Love the elastic loops; they're the only kind that work with the pacifiers my daughter likes. (wish I could say liked. . . . haha). You're so smart to plan Clark's party and Halloween costumes now. :) Hope your RLS goes away. I HATED that. My friend said it might have to do with low iron. . . . I will definitely be trying to raise my iron count if it happens again.